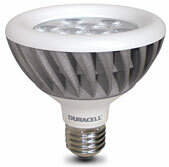 Developed for the most demanding commercial applications, Duracell LED lamps offer "best in class" lighting solutions that deliver more foot candles of usable light precisely where it is needed. 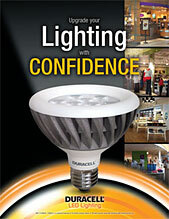 Incorporating tight and wide optic systems, Duracell lamps are designed to accomplish even coverage while creating dramatic contrast. 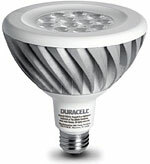 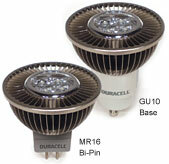 The Duracell product family serves all lighting needs, replacing current compact fluorescent and incandescent bulbs with lower watt longer lasting lamps.